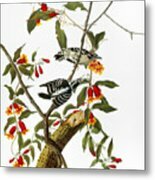 Queen duvet cover (88" x 88") featuring the image "Audubon: Woodpecker, 1827" by Granger. Our soft microfiber duvet covers are hand sewn and include a hidden zipper for easy washing and assembly. Your selected image is printed on the top surface with a soft white surface underneath. All duvet covers are machine washable with cold water and a mild detergent. 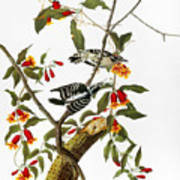 There are no comments for Audubon: Woodpecker, 1827. Click here to post the first comment. 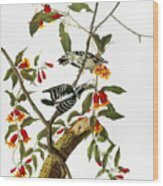 AUDUBON: WOODPECKER, 1827. Downy Woodpecker (Picoides pubescens). 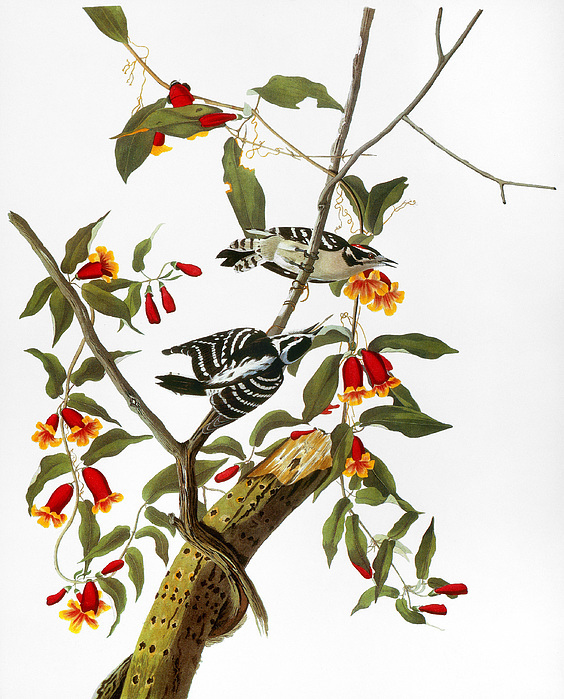 Painting from John James Audubon's 'The Birds of America,' 1827-1838.